A salon employee told WWL-TV the salon was full of stylists and customers when a boom suddenly erupted. Flames then engulfed the building. 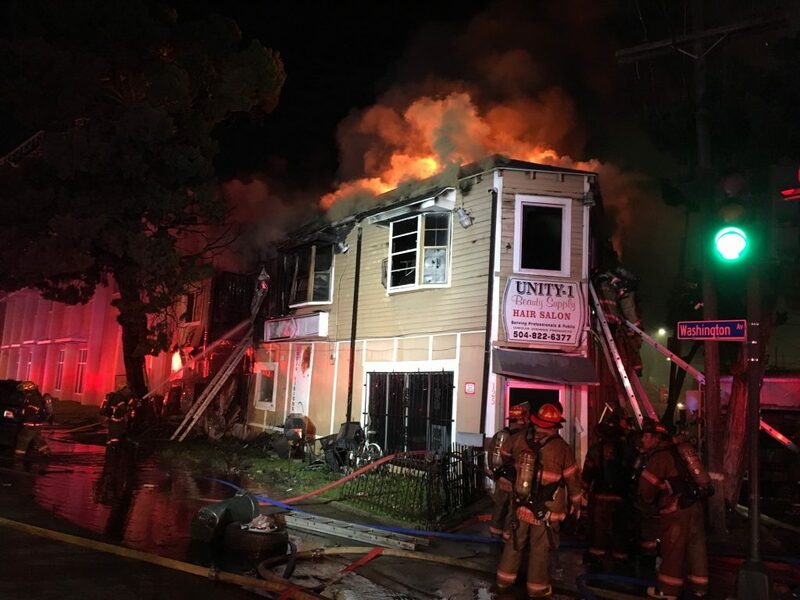 A woman and two children were rushed to a hospital after being rescued from the building’s second floor, NOPD reported, and three first-responders were treated for smoke inhalation. The incident began with an attempted traffic stop. At about 8:30 p.m., NOPD Sixth District Task Force officers spotted a vehicle at Toledano and South Derbigny Streets that matched the description of a vehicle reported stolen, police said. The vehicle then made a U-turn at Derbigny and South Claiborne Avenue, police said. At that time, the officers are believed to have activated their police unit lights and attempted to conduct a traffic stop. The vehicle then reportedly sped down Toledano Street. High-speed police chases are prohibited under NOPD policy, so the officers are believed to have deactivated their lights at this point. A short time later, the officers saw smoke in the distance on Washington Avenue. At Washington and South White Streets, the officers saw a vehicle had crashed into a beauty salon, with the car and building both in flames. New Orleans Fire Department crews were notified and responded to the scene. 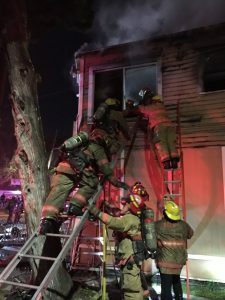 The NOPD officers helped three victims to escape from the structure – an adult female and two juveniles, an NOPD news release said. The victims were transported via New Orleans EMS to a local hospital. They suffered severe burns but were listed in stable condition on Thursday morning. The woman, however, later died from her injuries. 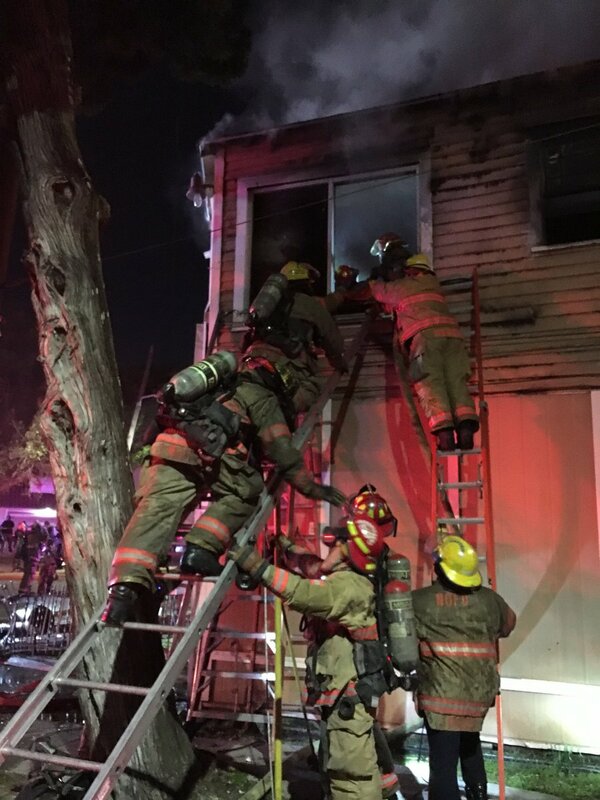 In addition, two responding NOPD officers were transported to a hospital via New Orleans EMS with smoke inhalation injuries and were treated and released. An firefighter was also treated at the scene for smoke inhalation and was released. Mayor LaToya Cantrell, who lives in Broadmoor, told The New Orleans Advocate the salon is an important gathering place for the neighborhood. Cantrell also said investigators are reviewing footage from a city crime camera near the scene. The Orleans Parish Coroner’s Office will release the identities of the two people who died upon completion of autopsy and notification of family. Anyone with additional information on this incident is asked to contact NOPD Traffic Fatality Unit detectives at 504-658-6205 or call Crimestoppers anonymously at 504-822-1111. This story was updated after the woman rescued in the fire died at the hospital.